All participants wanting to compete in the Interschools Snowsports competitions require an active Snowracer registration, which gives you a SnowID, to compete. Participants who have competed before in Interschools in the last few years will already have a SnowID but you need to make sure that you have activated (renew) your Snowracer registration for 2019. You would have now received an email to activate your Snowracer registration for 2019. Please renew, activate or register with Snowracer as soon as you can. If you are a new participant or will be competing for a new school this year, please pass your SnowID onto your school coordinator. They need your SnowID to enter you into the Interschools Championships. 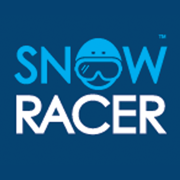 All Snowracer registrations include an active SnowID and FREE Snowracer insurance providing $500 of non-medical cover and $1 million of public liability cover. More information here. Exclusive to Snowracer and SSA members, Snow Equipment Cover provides insurance against theft and/or damage to ski’s, snowboards and other equipment both domestically and internationally through to April 2020 for just one payment of $39.90. Members can purchase their cover during the registration process. More information here. SSA have partnered with Headsmart Sports Concussion Programme to provide a subsidised baseline concussion screening for all members. Whether you ski, snowboard, play team or other action sports every participant should have a baseline concussion test to refer to in the event of an accident. SSA strongly recommend participants at all levels undertake baseline testing. This education and baseline screening is of the same standard and the same process that professional athletes complete. More details are available here.